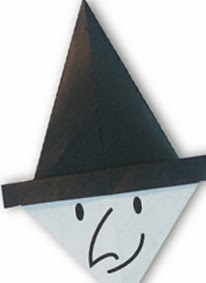 Witch Face Origami- Halloween is coming, most of the country around the world are celebrating it. Children are enjoying it, they love to wear Halloween attire too and make some fun, and making or preparing something special during Halloween will invest a lot of time and money. I've Visited Hongkong last week and I saw several mall advertising Halloween costumes. 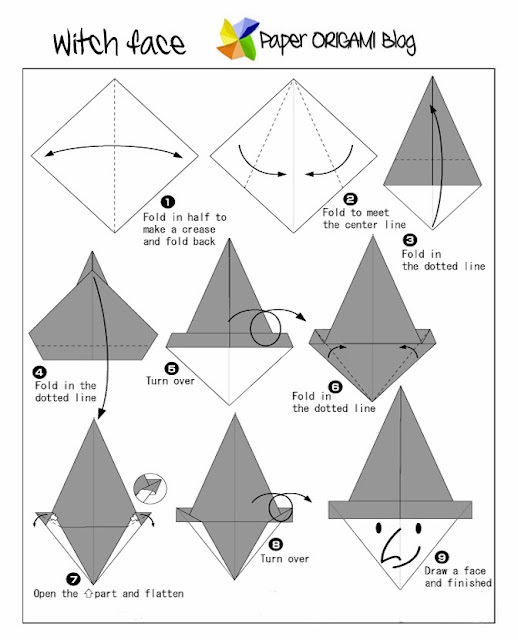 So, If you are origami lover it is an advantage to make some decorations out of paper for the coming halloween. Here is the simple steps. The easiest one is to make witch face.